WeChat is most used social network in China. This Mobile application has millions of active users in China and greatly covering the space of WhatsApp and Facebook. WeChat used for voice messaging, audio messaging, sharing documents, pictures, creating financial accounts, managing transactions, sending and receiving money online, chat with friends and family and the instant source of communications. What are the best tips for Wechat marketing in 2016 ? you want to optimize your products and services with WeChat right ? You are on the right page. Due to extra functions in WeChat, this app gives tough time to Facebook and Whats in China. Chinese people preferably use to WeChat in their daily routines to engage themselves with a huge network. 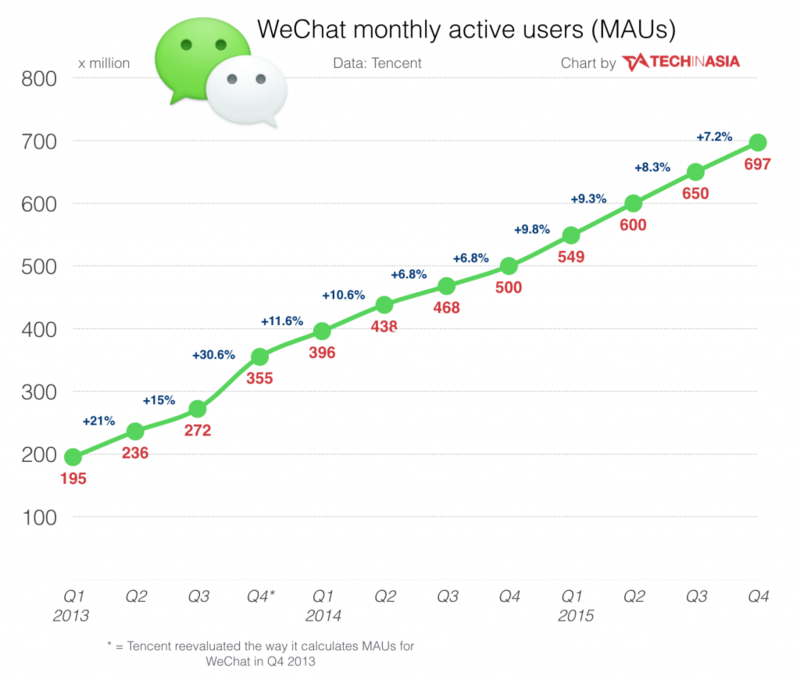 WeChat app has almost 800 million active users which show its importance and usage in Chinese society. There are almost 100 million users are attached from outside China which showing its great influence and demand everywhere in the world. With the support of 20 languages and access in 200 countries the Chinese App is playing important role for sharing important stuffs and online communication interactions. Young generation is the main user community of this app in China and in all around the world. Mostly smartphone users use this app and spend their time to exchange different types of ideas and to use this app for their official work. Promote all types of products and services with WeChat due to number one app in China. Many types of products and services specially highlight young generations to convey their messages and to market different types of ideas. Convey business campaigns and innovative ideas to young generation because 50% users are between 20 to 30 years old which can be useful in many ways. WeChat is an efficient marketing tool and world class social network app to optimize all types of products and services through effective strategies. Use creative relevant content and the unique user experience to directly hit the targeted communities to get instant feedback. Relevant and interactive content always get the attention of the people and Chinese market has big opportunities to engage public with brands for long time. Use creative techniques to attract potential customers and build long term relationships with your attached communities. 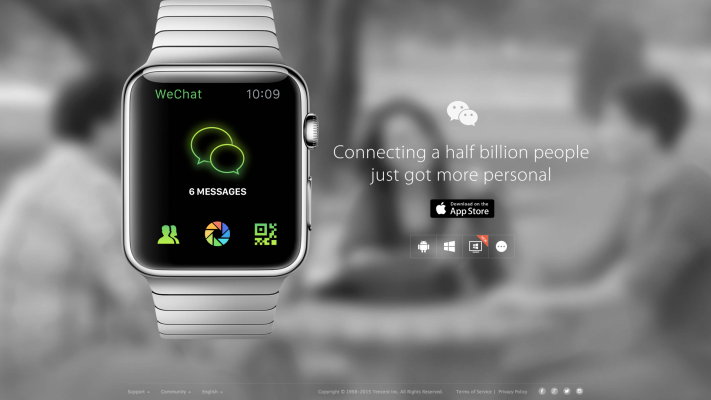 Catch your delighting moments and make interactive solutions for public campaigns through WeChat network. Promote your QR Code through WeChat Channel. A unique experience design plays important role in digital marketing representing specific brands and meaningful business campaigns for the public. Complexities of integrating social media and highlighting core messages through effective marketing campaigns like WeChat always need attention and the quick response from the communities. China has unique cultural background and traditions which make it unique from other regions. Due to unique lifestyles and unique living standards, every wise business person adopts unique business campaigns to spread brand awareness massage and the modern technology trends like as WeChat helps business communities to market their ideas efficiently and effectively. Millions of people’s attachment is with WeChat which attracts companies to do more efforts to brand their ideas nicely. to build brand presence and push performance within China is not difficult nowadays because with the help of modern technology and the attachment of people with modern trends helps to make effective and result oriented plans for getting response from the Chinese people. Fast communication and awareness resources helps in great sense to receive instant feedback from the different regions and helps to decide the future reputation of a product. Nobody denies the role of WeChat in today’s environment in China and the expected response from the public. People concentrate and spend most of their times to manage their data online and to share it with authorities about their progress and to get new tasks. Sometime it seems hard what to choose and when to choose a plane for marketing but experienced persons knows the exact time of efficient delivery of products campaigns which will definitely receives good response from the public. Best idea, best plan on best time always helps the authorities to plane for future. Enjoy one of the great features in WeChat network that is the permission of a small wechat minisite for interested users. WeChat permits to create small websites to market ideas for brand promotion. Interactions with fans can be possible by using quality contents and unique marketing campaigns on behalf of WeChat platform. Create user friendly website and add meaningful stuff that will represent to your specific campaigns with efficient way. Millions of users can access your brand links easily if you follow all the given instructions to promote your items through your website. Don’t add irrelevant stuff and unimportant data that is not matching with your products. Always use quality contents and the actual potential of your products for which you are trying to get the attention of the public. Chines people likes unique product experiences but authentic and reliable. We are a Social Media advertising Agency. Very Nice Tips about Wechat Marketing thank you. Did you see that Wechat Group Banned , or ask moderator to tak responsabilities of any action on Groups ? I guess it will Change Wechat marketing strategies of a lot of Small brands in China. Was so convenient to publis on groups. China’s top internet watchdog, the Cyberspace Administration of China (CAC), released new rules (link in Chinese) that govern who can say what in instant messaging chat groups. The rules, announced yesterday (Sept. 7), require internet companies to establish credit rating systems for chat group users, and provide services to them in accordance with their credit scores. Those who violate Chinese laws and regulations will see their credit scores lowered and their cases reported to authorities—exactly what many feared (paywall) would happen when China started pushing for the creation of a “social credit” system two years ago.